Karnataka Opinion Poll 2018: Who will win 2018 Karnataka Elections? Home Karnataka Karnataka Opinion Poll 2018: Who will win Karnataka Elections 2018? Karnataka Opinion Poll 2018: Who will win Karnataka Elections 2018? An India Today opinion poll in collaboration with Karvy Insights have predicted a hung Assembly for Karnataka Elections 2018. Congress is winning between 90 to 101 seats and BJP is winning 70-76 setas, it this comes true in actual results too, then JDS is going to play the role of the kingmaker in Karnataka. You can also participate in our Karnataka opinion poll 2018 and lets us know who do you think will Karnataka elections 2018. Another poll by C-voter has predicted that Congress will be the single largest party in Karnataka elections with 102 seats, 96 to BJP and TDS will get 25 seats. All the two latest Karnataka opinion polls are indicating one similar thing that is JDS might play a role in upcoming Karnataka Elections. In the previous elections, Indian National Congress contested for 223 seats and won a total of 122 seats which was 43 seats more than what they won int he elections before that. While BJP contested for 222 seats and could manage to win only 40 seats, which was 76 seats less than what they won in the elections prior to that. Apart from these two parties, Janata Dal(Secular) also have a place in Karnataka. The Karnataka Elections 2018 is important for both the national parties BJP and Congress as this election will definitely have an impact on 2019 elections. 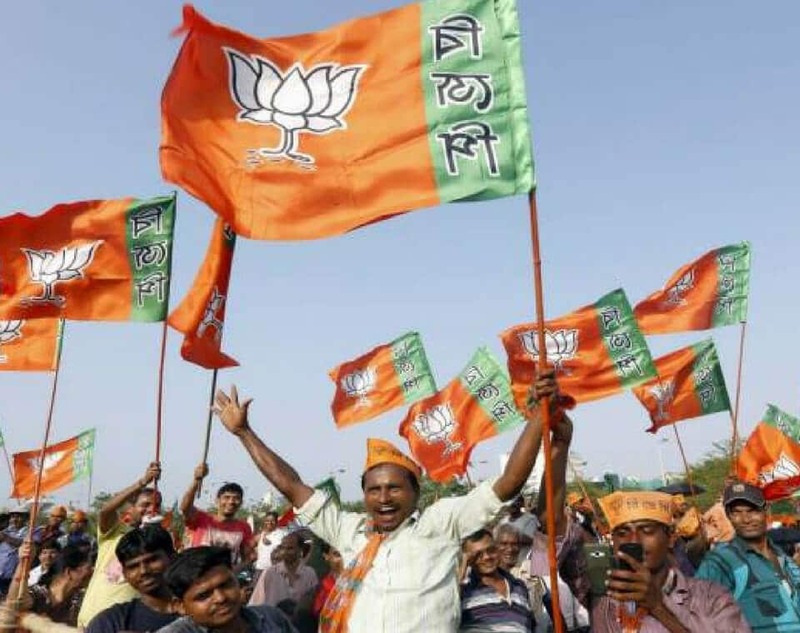 BJP is currently in Government in 19 states and winning state elections one by one where the result of Tripura elections might be a boost for BJP their recent loss in by-polls elections in UP has given a signal that anything can happen in Karnataka Elections. The election commission has announced the election dates for Karnataka assembly elections. An election will take place on 12th May on all 224 constituencies in Karnataka. The counting of votes will commence on 15th May 2018 and we will get to know who is going to form the Government in Karnataka. BJP Central Election Committee has decided the 72 names for the Karnataka Assembly election. 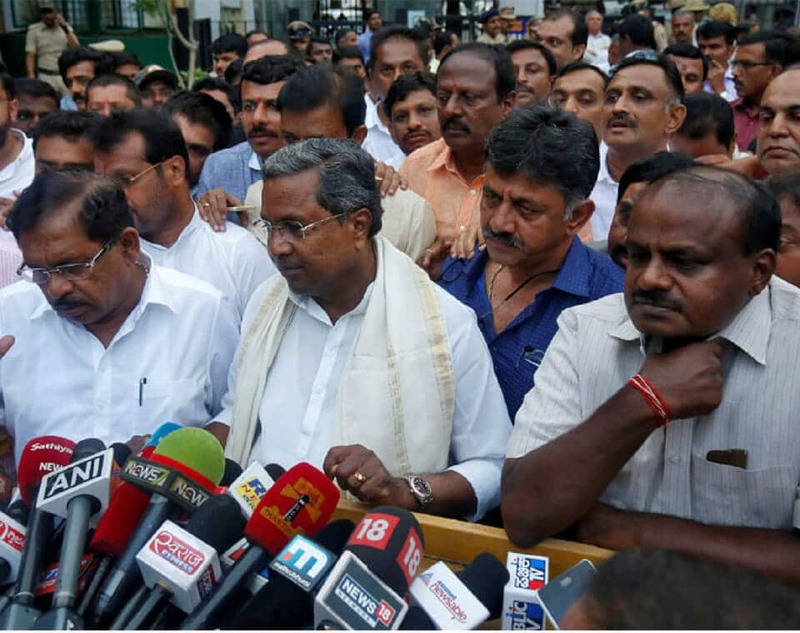 Among these 72 candidates, 48 candidates are sitting or outgoing legislators from the state’s northern, central and southern regions, including Bengaluru, which has 28 Assembly constituencies. 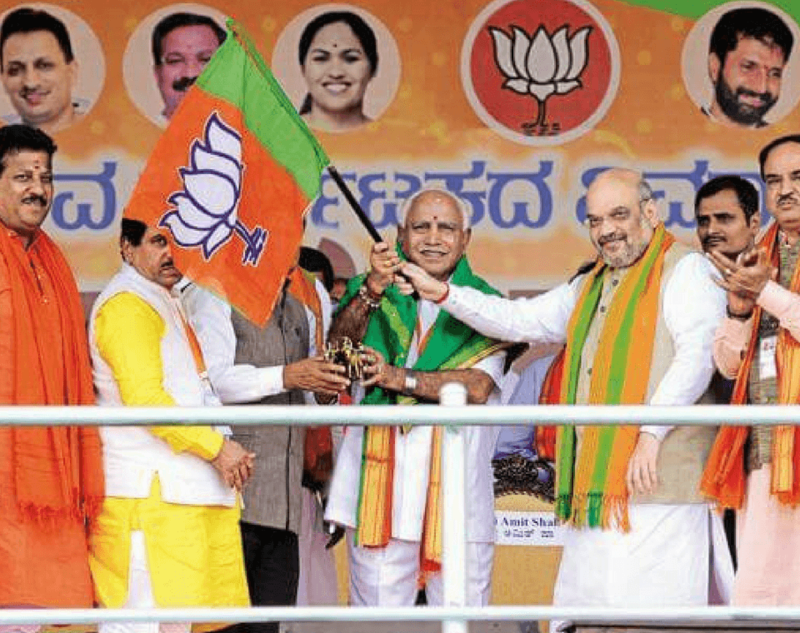 Some of the prominent nominees include BJP’s chief ministerial candidate B S Yeddyurappa contesting from Shikaripura, Jagadish Shettar from Hubli-Dharwad Central, K S Eshwarappa from Shivamogga, Basavaraj Bommai from Shiggaon, K.V. Hegde from Sirsi, C.M. Udasi from Hangal and B. Sriramulu from Molakalmuru (reserved). Bharatiya Janata Party and Janata Dal (Secular) will be trying to defeat the incumbent Congress government in Karnataka. Aam Aadmi Party will also be the state politics of Karnataka. The main contenders for elections this year are Siddharamaiah(Congress), BS Yeddyurappa(BJP) and HD Kumaraswamy(JDS). In order to get a majority, the winning party will have to get a majority of 113 seats. Most of the recent opinion polls of 2018 show that it’ll be a war of votes between Congress and BJP. Public TV, TV9 – C Voter and CHS view Congress as the winner but without a majority. According to opinion poll given by C – Fore, Congress will win with a clear majority, while Creative Center for Political and Social Studies view BJP as a winner with a clear majority. 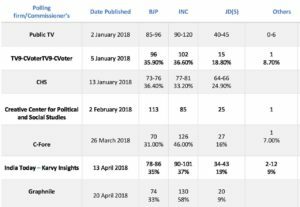 Here is a summary of what latest opinion polls are predicting about Karnataka Elections 2018. Coming to the preferred Chief Minister, Lokniti-CSDS conducted a survey interviewing 878 people in which Siddharamaiah got 34%, 19% chose Kumaraswamy and 14% chose Yeddyurappa. In a poll that was conducted by CHS, the first choice was Kumaraswamy followed by Yeddyurappa and Siddharamaiah. 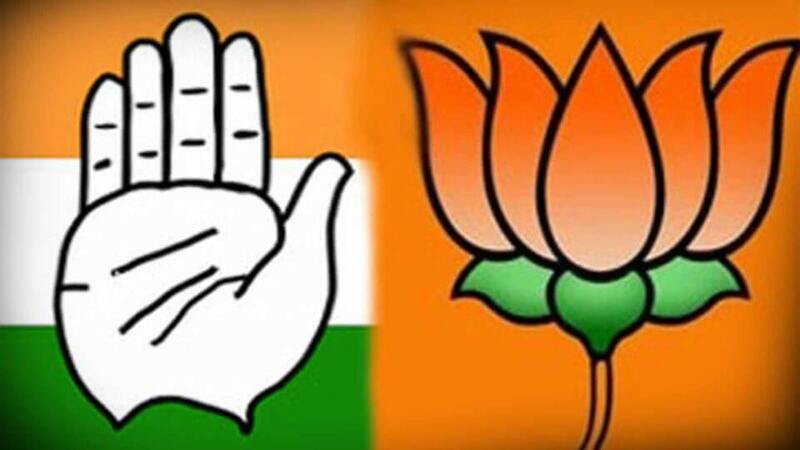 It will be interesting to see as this election is will witness a tough battle between BJP and Congress. Participate in Karnataka opinion poll 2018 and share your opinion about who do you think will win Karnataka polls 2018. Previous articleGujarat and Himachal Election Results 2017-Will this affect 2019 election? 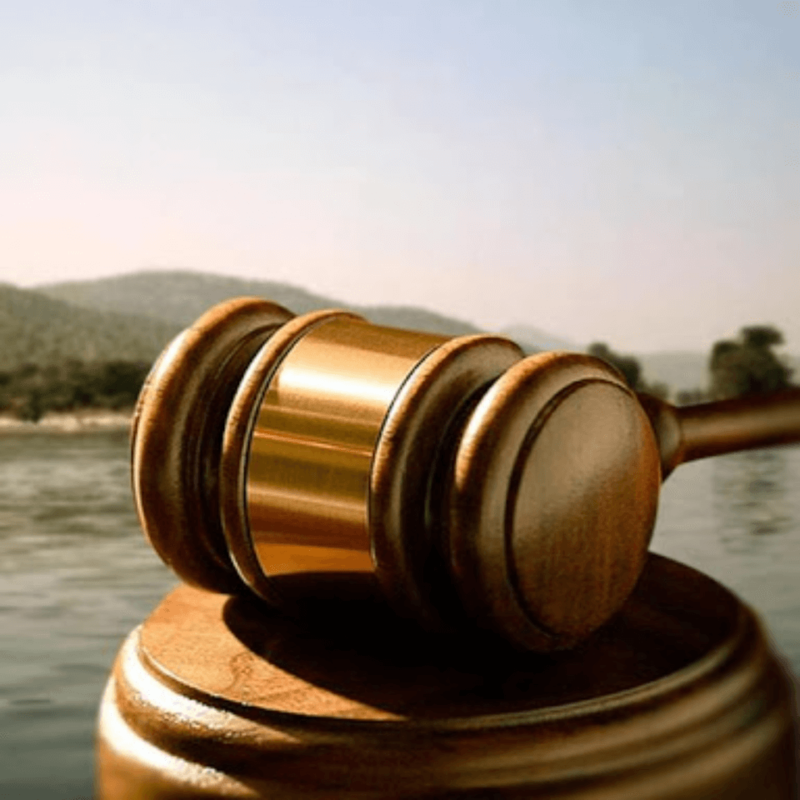 Next articleWhy is Congress losing its ground in India? If CM is confident on winning, why he is running from one constituency to another ? First he run away from Varuna and filed nomination from Chamundeswari ? Again now he is running away from Chamudeswari and filing in Badami? This clearly shows how panic our congress leaders are. BJP win in Karnataka .